Helping Motorcycle Accident Victims across New York State. 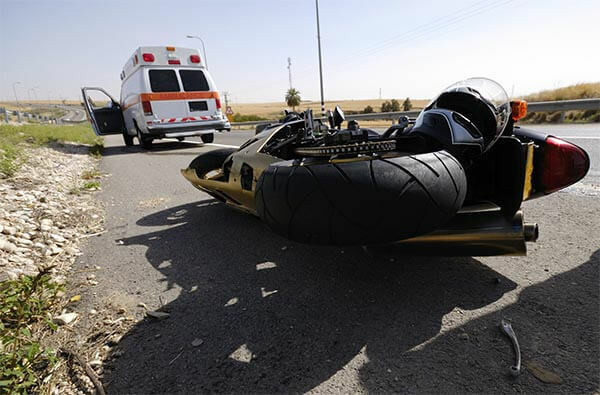 As New York motorcycle accident attorneys, we know how catastrophic a motorcycle accident can be. Speeding, alcohol, or drug use, and disobeying traffic laws by either party, greatly increases the chances of a serious accident. What’s worse is that so many bikers don’t know what to do after a motorcycle accident. Seeking motorcycle accident legal advice could be the best decision that a biker can make, after an accident. We have New York attorneys on staff who ride motorcycles. They understand first hand how easily a motorcycle accident can happen and have seen the road through your eyes. It is important for an experienced, qualified trial lawyer, who understands New York motorcycle accidents, to review your case. Our team has the resources and experience to fully evaluate your case and provide a complete analysis of your claim. The attorneys at Cellino & Barnes have helped Rochester Motorcycle Accident victims, Buffalo Motorcycle Accident Victims, and accident victims across New York State. If you or a loved one has been involved in a motorcycle accident and don’t know what to do, call Cellino & Barnes now at (800) 888-8888 or contact us. How many people are injured or killed in motorcycle accidents? Astonishingly, nearly 2,000 motorcyclists die each year and approximately 50,000 are injured. Nearly 80% of all motorcycle accidents in the United States result in injury or death. What it the main cause of death in these accidents? Head injuries are the main cause of death among motorcyclists. Unfortunately, there is no barrier between your head and the ground, other than your helmet. Ride defensively and be aware of your surroundings. Also, obey the laws and follow the speed limit. In addition to wearing a helmet, other safety gear, such as eye protection, gloves, appropriate footwear, leg guards and jackets can help reduce your risk of serious injury. First, seek proper medical attention and make sure the authorities are notified. Then you should contact Cellino & Barnes and allow us to start gathering information. Motorcycle law can be complicated, but as with all accidents, there are steps you should follow at the accident scene. Please check out our General Auto Questions. What if a loved one has been killed in an accident? In these unfortunate situations, a family member may be entitled to claim for wrongful death depending on the circumstances surrounding the accident. For more information on the statistics provided by the New York State Department of Motor Vehicles, visit their website at New York DMV Statistics. Wear the right gear. Helmets for motorcyclists are like seatbelts for drivers. Wearing a helmet will reduce the risk of suffering a traumatic brain injury or death. Other safety gear includes eye protection, gloves, appropriate footwear, leg guards and jackets. Obey the Law. Don’t speed; know the local traffic laws and rules of the road.